Kanye West set social media on fire over the weekend when he debut a never before seen white and grey Yeezy 700 sneaker. Paparazzi snapped Kanye over the weekend donning the new version of bulky Wave Runner 700. The G.O.O.D. Music rapper donned a oversize camouflage jacket and black pants with the sneaker while heading inside Balenciaga in New York City. The is the latest version of the Wave Runners we’ve seen with white and grey colorway with a little 3M reflective accents at the top section of the shoe. The pair Kanye West was wearing comes with a blacked out mid and outsole and white lace. It will likely be available in stores sometime soon, but in the meantime Kanye West and his family has the luxury of debut the kicks before anyone else even get their hands on them. These sneakers retailed by Adidas for around $300 but folks are reselling them on the market for double and triple that amount on the open market. 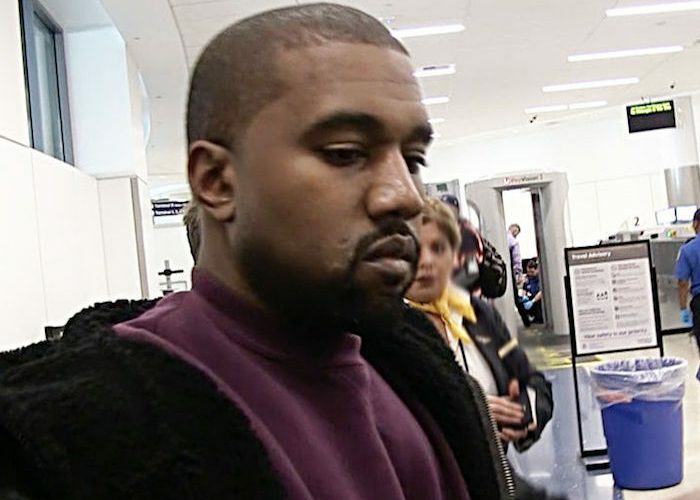 Aside from designing sneaker, Kanye West has been recording his upcoming album over the last year, but so far there are no signs on when this project will arrive.